Flex Films || Global Presence || Poland - The Perfect Solution for Flexible Packaging Converters! We relentlessly endeavour to enhance value for our clients by offering innovation to create value added differentiation and best-in-class service. We at Flex Films strongly believe in taking all stakeholders along in our pursuit to become the most preferred supplier of specialized polymeric films across the world. Business Head - FlexFilms EUROPA Sp. Z.o.o. Mr. Sundeep Saksena has an illustriously progressive career spanning 30 years including 7 years of overseas exposure. He has attained multi-domain experience in the fields of production and retail working with leading brands across Packaging, Telecom, Consumer Durables and FMCG sectors. Mr. Saksena has had multifarious and successful experience in setting-up new businesses, turning around existing businesses, streamlining start-ups, steering profit center operations, forging business set-ups/ tie-ups, establishing relations with JV partners and devising & executing winning strategies for capturing leadership position in the market simultaneously maximizing business growth. Mr. Sundeep Saksena graduated in Mechanical Engineering from REC (Now NIT) Srinagar. Thereafter he pursued M-Tech. from Indian Institute of Technology, Mumbai and MBA (Marketing) from Podar Institute of Management, Jaipur amassing comprehensive knowledge towards developing robust marketing techniques and identifying business opportunities setting a strong foundation for making his presence felt in the industry. Mr. Saksena is adept with myriad skills including ROI Accountability, Business Negotiations, People Management, Profit Centre Operations, Revenue Expansion, Growth Management, Statutory Compliance, Governance, Branding & Awareness Building, Channel & Category Management, Strategy Planning & Execution, Project Lifecycle Management, Client/ Customer Satisfaction and Partner Relationship Management. In his previous assignments, Mr. Sundeep Saksena has worked with reputed organizations like Reliance Communications, BPL Ltd, Koshika Telecom, Real Value Marketing Services, Eureka Forbes, Blow Plast & Goodyear India. Mr. Saksena’s sound business instincts coupled up with a sharp acumen are focused at maximizing business returns, in-depth understanding of industry trends; competitor dynamics and consumer ‘hot buttons’. As a leader he builds and develops winning teams to embrace change, while seeding the next generation of leaders for the company. He is deft at engaging decision makers, devising winning strategies and solutions, and managing change affably. In a rapidly changing business landscape Mr. Saksena is known for taking prompt and prudent decisions making most of his experience-backed judgment, strong work-ethics, and irreproachable integrity. With a technical bent of mind, high professional qualifications and an unrelenting zeal to put theory into practice Mr. Saksena has delivered fruitful results driving positive change in all his assignments. As a team player he has demonstrated exemplary inclusivity and convincing power for various stakeholders who pose utmost faith in his capabilities. 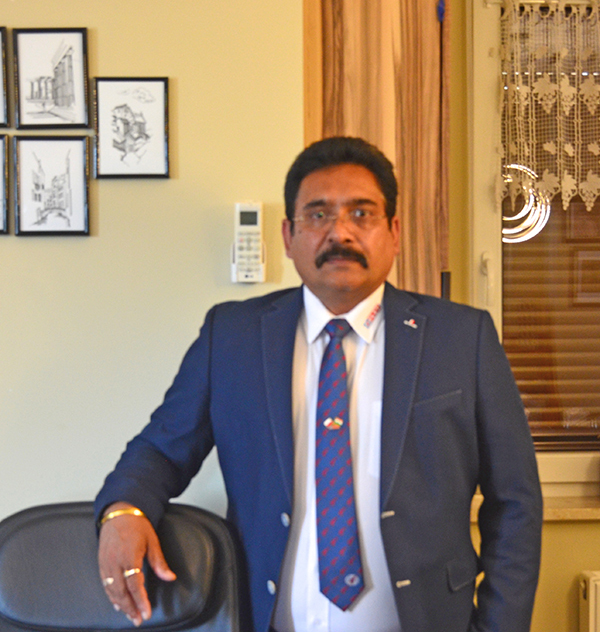 In his current role, Mr. Saksena is Heading Flex Films Europa Sp. Z.o.o. at Poland. 8.7 meter wide Biaxially Oriented Polyethylene Terephthalate (BOPET) Film Line with a capacity of 30,000 TPAinstalled in 2013.